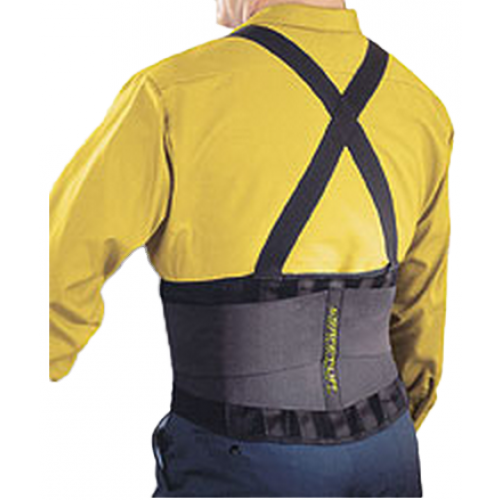 Safe-T-Lift LX Occupational Back Support provides support to the lower back and helps promote proper posture and lifting techniques. 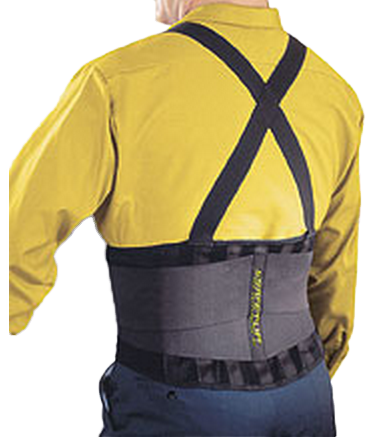 Its extra wide support base provides added support to the lower back and abdominal region and helps maintain proper back alignment. The support base is made of a high grade, breathable spandex for extended durability and features a tension strap to prevent over stretching. The Safe-T-Lift has four coated, spring steel stays provide excellent support and durability. The woven shoulder straps are durable, encourage good posture, are easily adjustable and are snag resistant. The rubberized gripper holds the belt in place and the elastic side pulls are easily adjustable to provide increased compression when needed. Provides Support to Lower Back. Promotes Posture and Proper Lifting Techniques. Plastic-Coated Spring Steel Stays Add Durability and Safety. Breathable Spandex Support Strap Features Tension Strap to Prevent Over-Stretching. Full Color Training Insert Included.